We all have have books we think are overrated, but most of us aren't brave enough to openly trash them on social media. But recently esteemed novelist Salman Rushdie was giving classic novels low ratings on Goodreads for all the world to see. Many followers were surprised when they first noticed Rushdie giving what seemed to be unusually low ratings to several novels. He gave To Kill a Mockingbird by Harper Lee, considered by many to be among the best novels ever written in English, only three out of five stars. Even more harsh, Lucky Jim by Kingsley Amis, also regarded as one of the English language's most stellar novels, got just one star. Even Rushdie's friend and fellow author Martin Amis only managed to get a three star rating for his novel Money. But Rushdie wasn't an entirely hard to please Goodreads rater; he did give some classic novels, including The Great Gatsby by F. Scott Fitzgerald and A House for Mr. Biswas by VS Naipaul five of five stars. Which is rather big of him actually, given that Naipual once referred to the fatwa that forced Rushdie and his family into hiding after the publication of The Satanic Verses as "an extreme form of literary criticism." But regardless, Naipual does still write very impressive books. According to Rushdie, however, his ratings weren't meant to be public. In fact, he didn't realize anyone else could see them. “I’m so clumsy in this new world of social media sometimes," he reportedly said after being questioned on the site. "I thought these rankings were a private thing designed to tell the site what sort of book to recommend to me, or not recommend. Turns out they are public. Stupid me." But even though he never intended to advertise them, he does apparently stand by his ratings. He added on the site, "Well, I don’t like the work of Kingsley Amis, there it is. I don’t have to explain or justify. It’s allowed." 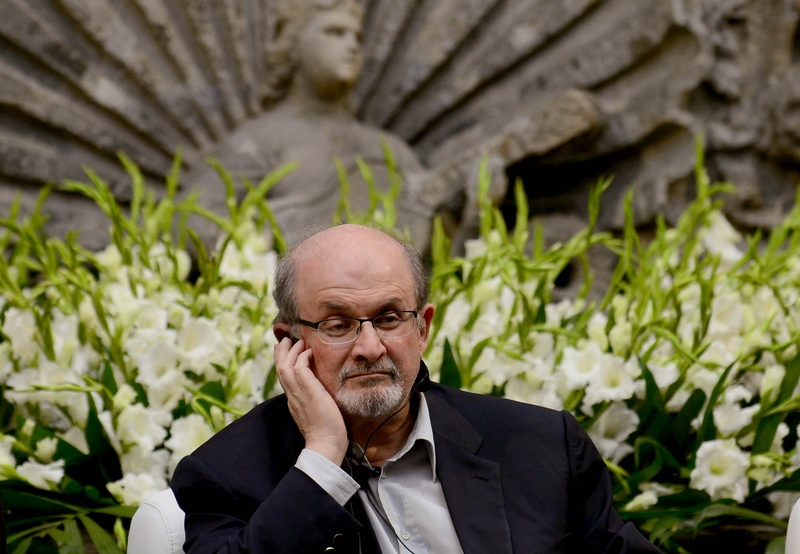 And certainly, no one has a right to tell anyone which books or authors they are or are not supposed to like, let alone to tell Salman Rushdie. There is no such thing as a book that is universally enjoyed by everyone, and we all have the right to find the classics overrated. But it still might be best not to rile the monsters by talking about it on social media.